The author discusses her new young adult novel, The Game of Hope. 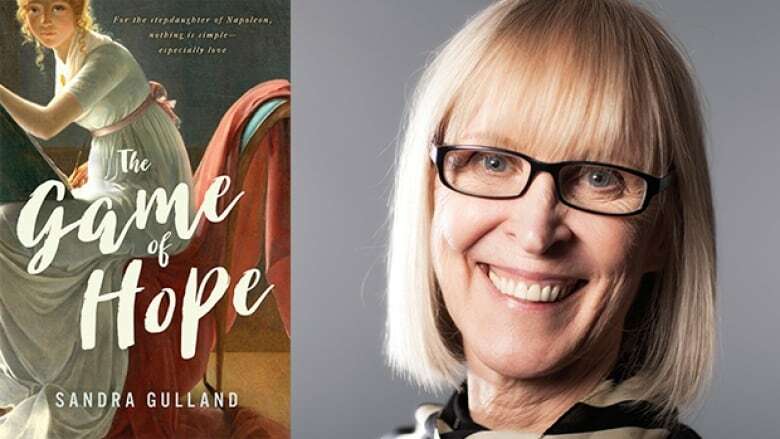 American-born Canadian novelist Sandra Gulland has a passion for Old World France. It's manifested itself through her novels The Shadow Queen and Mistress of the Sun, novels set in the court of Louis XIV, The Sun King, and a trilogy of novels based on the life of Josephine Bonaparte. Her latest YA novel is The Game of Hope. It's a fictionalized account of Napoleon's stepdaughter, Hortense de Beauharnais, and her life as a young woman after his death. "The easiest way to describe The Game of Hope is that it's a coming-of-age novel about Josephine Bonaparte's daughter, Hortense de Beauharnais, who is Napoleon's stepdaughter. It's a very complicated situation for Hortense because her father had been guillotined years before and she was still traumatized by that. She was also frightened by her stepfather. And in addition to all the complexity and excitement of school life, she's also dealing with her mother's new husband. "That period of time in the 18th century was a fascinating period in French history... Everything was in disarray and they were trying to get their feet back on the ground. You could say this was a school for girls who had post traumatic stress syndrome. They were mourning their lost parents, uncles, brothers — and were terrorized because they knew this could happen to them as well. They had no sense of security as children." Sandra Gulland's comments have been edited for length and clarity.